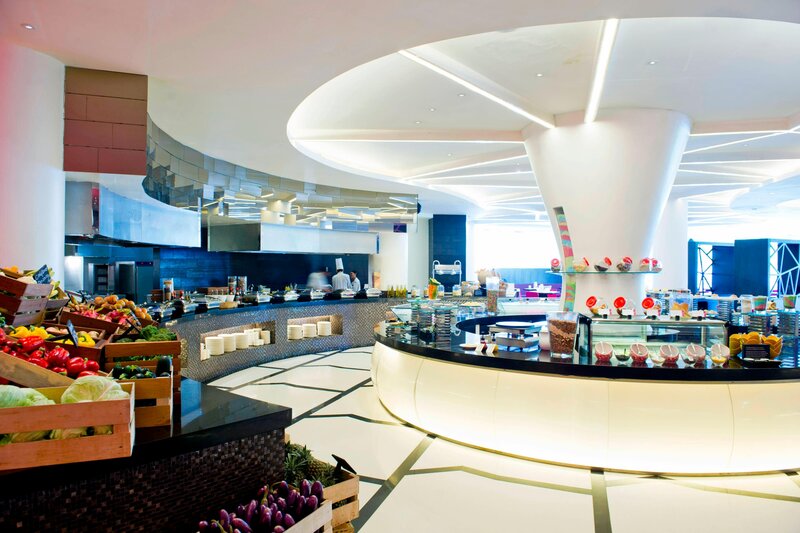 Dine at Sheraton Bali Kuta Resort in an indulgence of palate-pleasing Balinese, Italian, and international cuisines at Bene, Feast, or The Lounge. Set against the backdrop of Kuta Beach and the Indian Ocean beyond, these restaurants blend contemporary luxury with beachside tranquility to create unique dining moments. Taste the exquisite blend of international flavors infused with local twists, delicately crafted by our team of culinary experts. Wash down the succulent delights with signature cocktails or classic drinks. 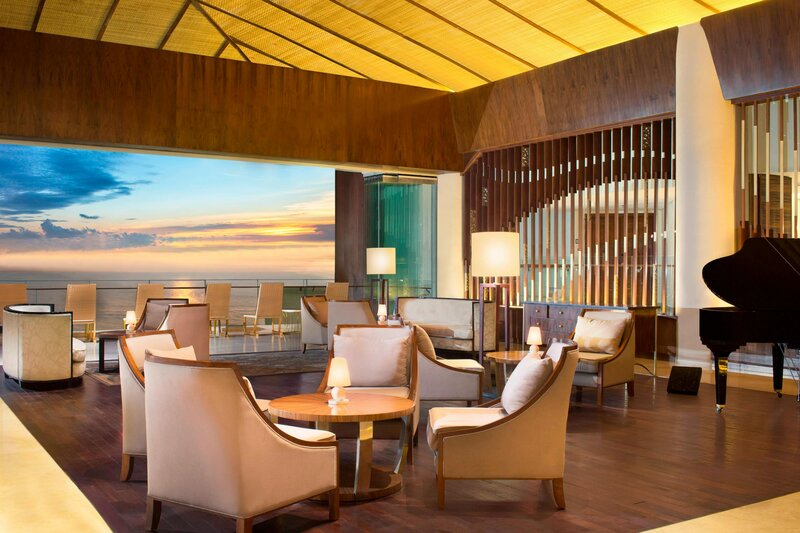 Complete your experience dining at Sheraton Bali Kuta Resort with a table facing the beach, placing you and your loved one in the best seats to enjoy the star-studded night sky. As the premier family resort in Kuta, the resort takes pride in our special menu for kids, which offers a selection of healthy and fun meals for your baby, toddler, or older children. Our Kids Menu comes complete with games and activities for your kids. We offer a full range of live sports, played on large screens, everyday for you to enjoy! Be dazzled by our award-winning specialities such as the world famous beef and lamb ribs, original Onion Loaf and Kickin&apos; Shrimp, Filet Medallions, Mojo Chicken, Steakhouse Burger, followed by fresh salads and so much more. With a passion to serve you honest unpretentious food around Asia, we embark on a mission in finding the best recipes. We offer great food and entertainment! One of the best spots to chill out and to dine in. 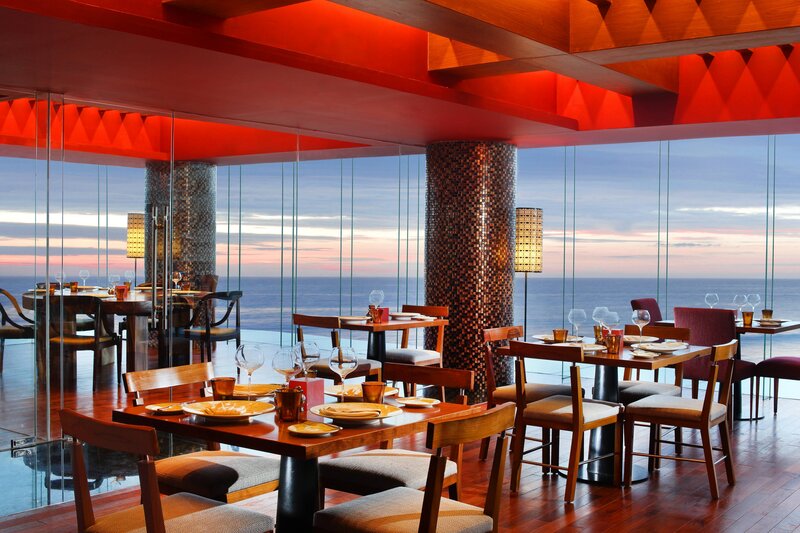 Meaning "Bright Red" in Italian, RossoVivo is the first of its kind on the most famous beach of Kuta Bali.